In a move that could signal the end for Keith Yandle on Broadway, the Rangers dealt his UFA rights to the Panthers for a 2016 sixth round pick and a conditional fourth round pick in 2017 if he signs with Florida. If it really is over for Yandle, it would be a sad conclusion. Acquired by former general manager Glen Sather on March 1, 2015 from the Coyotes for Anthony Duclair, John Moore, a 2015 second round pick (Oliver Kylington) and 2016 first rounder, the 29-year old Boston native stabilized the blue line. Used primarily on the third pair and power play, Yandle was a good offensive defenseman that the Rangers lacked. Viewed as the missing piece, he tallied two goals and nine assists helping the club to a second consecutive Eastern Conference Final in 2015. While other banged up defensemen struggled, Yandle was the team’s best defenseman in a crushing seven-game series loss to the Lightning. Of the 11 points he had, seven came in the third round including two goals and five assists. With the Coyotes picking up half the tab on Yandle’s contract to help the Rangers on the deal, he continued to fare well. In his only full season as a Blueshirt, he led the club in assists (42). 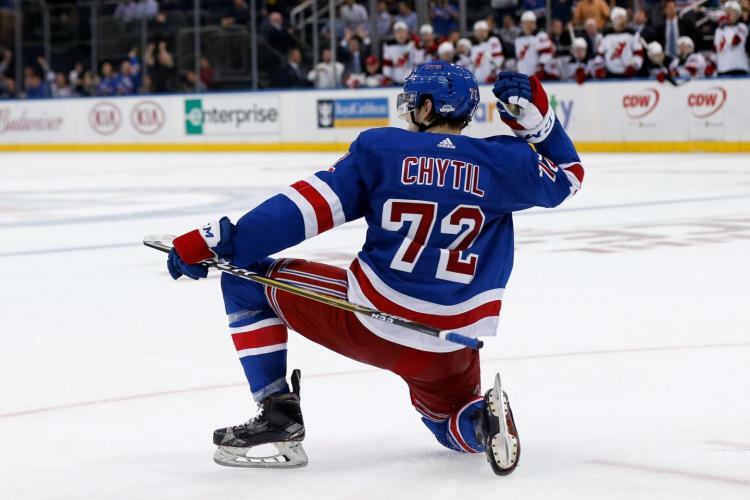 His 47 points (5-42-47) paced all Ranger D. One of only two Rangers to play all 82 games, his production was strong when you consider that coach Alain Vigneault didn’t always utilize Yandle properly. Until the final part of the season when injuries forced Vigneault to increase Yandle’s minutes, he was stuck on the third pair behind Marc Staal and Dan Girardi. A injury to captain Ryan McDonagh didn’t help the club’s chances in the postseason. Yandle stepped up in the Rangers’ only win with a goal and a plus-two rating against the Penguins in Game 2 of the first round. However, the Pens’ relentless style was too much for the Rangers to handle. They were eliminated in five games. Yandle struggled in the final three games after McDonagh returned. Part of it was due to working with Dan Boyle, who was on his last legs. At the moment, the gamble for Yandle looks bad. Even though it was the right move, not re-signing him could be costly. Especially with the current situation on defense. Stuck with Girardi and Staal, the organization doesn’t have much wiggle room. With the signing of Russian prospect Pavel Buchnevich, they have approximately $56 million committed to 14 players. That doesn’t include key restricted’s Kevin Hayes, Chris Kreider and J.T. Miller along with Dylan McIlrath. The only positive development was the steady play of former first round pick Brady Skjei, who should be a fixture on the back end. There have been plenty of rumors circulating that GM Jeff Gorton has made almost everyone available. At this point, Henrik Lundqvist is the only untouchable. Obviously, the Rangers organization is desperate to cut salary and revamp the roster. If it’s at the cost of common sense such as moving the more reliable Derek Stepan over Derick Brassard, then I’m not overly optimistic. Brassard is signed three more years thru 2019 at a more affordable $5 million cap hit. Stepan averages $6.5 million against the cap thru 2021. They could be looking to move him due to his no-movement clause not coming into effect until the upcoming ’16-17 season. Considering what Stepan brings, I prefer to keep him. He’s 26 and a couple of years younger than Brassard, who’s coming off a career best season of 27 goals despite defensive deficiencies. Stepan is more of a leader who the coaching staff trusts to play both power play and penalty kill. He’s one of their best two-way players. Unless they’re blown away, it would be a mistake to trade him. As for Rick Nash, your guess is as good as mine. Signed for the next two years with a $7.8 million cap hit, he’ll be hard to move. Unless the Blues still have interest after failing to reach the Stanley Cup Finals, I don’t see a solution. St. Louis is said to be having second thoughts of signing defenseman Kevin Shattenkirk to a long-term deal. He has one year left on a deal that pays him $5.2 million in ’16-17 with a cap hit of $4.25 million. The Rangers have long been rumored with the 27-year old from New Rochelle supposedly interested in coming home. When you do the math, it doesn’t make sense. Unless the Rangers can shed salary and find a taker for either Girardi or Staal, how can they even consider fitting Shattenkirk in? He would certainly be an upgrade over what they have. With Boyle likely retiring and only Girardi, Kevin Klein and McIlrath, the right side remains problematic. Unless they are thinking about trading Klein, who has an affordable $2.9 million price tag that runs thru 2018. He has been a solid citizen playing top pair which he really can’t do. He got exposed against Pittsburgh. If the Rangers are serious about tearing it up and redoing the roster, then the next two weeks could be interesting. Whether or not they know what they’re doing is anyone’s guess. The only other thought on Yandle is this. Having heard that he really enjoyed his time here as did his family, maybe he and the club have a wink wink, handshake agreement. They didn’t get much back for his rights. Florida reportedly wants to sign him to a six-year contract extension. Unlike the Rangers, they have more available space after dealing Erik Gudbranson to the Canucks last month for Jared McCann, a second and fourth round pick in this year’s NHL Draft. We’ll see where Yandle’s heart is. Is it about the money or would he really like to remain a Ranger? Nothing has been determined yet. It all depends on the Rangers. They would lose a lot of skating and puck possession if Yandle really leaves. They now can’t negotiate with him until July 1. I will just hope there actually is a plan that won’t depress our fans. It could be a long summer. This entry was posted in Battle News, NYRangers and tagged Blues, defense, Derek Stepan, Derick Brassard, Keith Yandle, Kevin Shattenkirk, NYR, Panthers, Rangers, Rangers blue line, Rick Nash. Bookmark the permalink.